I've been contemplating how best to make sure users don't buy Flirc is it doesn't suit their needs, equally encouraging them to buy it if it does. To this end I think it would be a great idea to involve the great community here on the forums so you can chime in with your pro's and cons. Giving something to easily read through. + I'm able to control way more functions of XBMC with it. I think Flirc is great - very happy with my purchase. Way better than the other receivers I tried (including HP receiver for MCE remotes). + Config stored on the Flirc itself. No config should be needed on the respective PC/Mac. - If used together with a programmable remote (as Logitech Harmony) it's not very easy to find the most suitable remote profile to use for the Flirc commands. Although recommendations of TV Profiles and additional mappings of the remote keys are available in the forum. - The config GUI needs some more work to be more user friendly (the third party Windows tool Flirc Utilities solves some of the current weaknesses). I believe all current weaknesses are known by the developer and work is done solving most of them. Looking forward to next stable firmware release and the new GUI. + One less remote cluttering up the living room. I'm extremely happy with my Flirc. Even after encountering some problems (most can be solved by reading the forums!) I'd still rather use Flirc than anything else. Flirc is a constantly evolving device, with great opportunity for future development. Jason is constantly engaged with the user-base and is committed to developing new features and capabilities. You won't get this level of personalized support with any other device. + Family friendly once set up! - Delivery was a bit much but now more options available pricewise. Delighted with purchase, bought 3 in total for extended family. Just received my order for 4 flircs and started immediately. It took about 15 minutes to install the drivers and programm all the keys. Except for wake up everything worked great the first time. Since the delivery took nearly three weeks I had plenty of time to prepare. I had already made a keyboard.xls for XBMC, configured the Harmony software and most importantly, I made a list of which button would be assigned to what key and what it does in XBMC. Also, after reading about ghost button presses, I decided to use a box that was open at both ends. The flirc goes into one, the remote in the other to make sure no unwanted signals would disturb the programming. + Emulates keyboard which means nearly every OS should be able to use it. -> update: got wake up from sleep working using default firmware with any button. - It's not as snappy as my wireless keyboard. There is a slight delay that's not a nuisance but noticable. I am however not sure that the flirc is at fault here since the MCE receiver I was using earlier had the same delay. Might be caused by the harmony remote or even an unavoidable consequence of using infrared technology. Will test with another remote to find out whether it's the harmony. As I expected it's a great device and i am already very happy with it. I was surprised that it took so little time to get it working, after decades of experience with computers I usually expect things NOT to work first time. I do recommend to browse these forums a bit beforehand to avoid some issues though. Configuring my harmony as a TV instead of MCE device probably saved a lot of time and frustration. + Works with any IR remote. I could control my TV, Receiver and the Dish box with my Onkyo remote. Adding FLIRC to the mix, now I can control the HTPC too with the same remote. + Can wake up HTPC from sleep with the remote. Currently I use a logitech bluetooth keyboard with touchpad to control my HTPC. This works very well as I have full control over the HTPC. However, the bluetooth keyboard cannot wake the HTPC from sleep. With FLIRC, I can wake up and control the HTPC with my Onkyo remote itself. Note that I could get this to work only with beta firmware v6. + Buttons can be programmed to peform any function on HTPC. My remote does not have a page up/ page down button which is useful for navigating long lists. So I programmed the "Next" and "Previous" buttons to perform the page up/ page down function. The information to correctly setup FLIRC for your remote is strewn across multiple places. For example the main website says "Easy Setup". But there is no link to a setup guide. The FAQ is hidden under the Cross Platform Support page. A lot of information to correctly setup FLIRC is in hidden in the forum posts. There should be troubleshooting guide. The website needs some real reorganization. The first time I programmed it, FLIRC would respond to the buttons only intermittently. The down arrow would always work. The up and side arrows worked only some time. I though the dongle was a lemon. I reprogrammed everything and did some unplugging, replugging, restarting etc and everything started working. 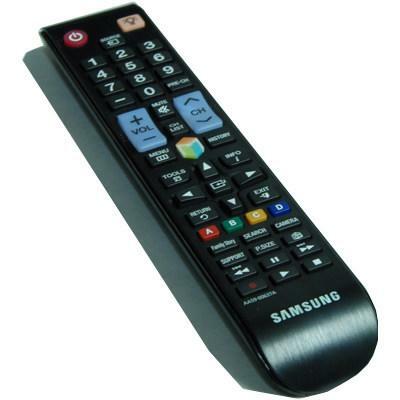 The forum users have mentioned that the Samsung and Panasonic TV profiles work well with the Harmony remote. However, I have an Onkyo remote. I found through trial and error that the Samsung DVD profile worked better than the TV profile. But finding this is a time consuming process. After some initial hiccups, my remote is setup perfectly to have full control over XBMC on my HTPC. + Incredibly fast and painless setup; I got the device and minutes later had the remote programmed. + Great reception from anywhere in the room and from any angle. + Can program multiple buttons to do the same keystroke (or different remotes to do the same keystroke) which works perfectly with my setup. + It's a pretty inexpensive device, all things considered, and I got mine about a week after ordering it. + Did I mention it was easy, and works almost exactly the way I need it to? - I still haven't figured out the wake-from-standby issue, but I haven't tried the beta firmware yet. - The setup program did work very well, but I noticed a few little bugs I had to work around (phantom button presses getting assigned, random keys getting erased instead of the one I pressed, etc.). Nothing too bad, but slightly irritating. - There is a limit to the number of recordable buttons, obviously. My remote has a full remote layout and QWERTY keyboard and I was able to program almost all of the buttons, but it still ended up being two or three short (I don't really need an alt key, though...). I was looking for good Openelec remote solution for a long time, and the cheap IR receiver I bought a while ago didn't work. I decided that this looked promising, so I ordered it along with the Vizio QWERTY remote (from Amazon for $15). Setup, as I mentioned, was just a little buggy, but once I got it into my HTPC it worked flawlessly. Honestly, I'm thrilled. I should have gotten this sooner. I am so happy with the way it has worked for the past few weeks that I thought I should get on and say something about it. Great product. I posted this at the xbmc forums, it probably makes more sense here. The "send keyboard commands" is so on screen keyboard with arrow keys works I found out.. Dish Network remote 21.0 rf/ir + flirc + xbmc = success! I just want to report that I bought a flirc with the idea of using it with my dish network remote, and so far it's awesome. I do have an issue with the cursor running too fast if I hold down the arrow buttons, but I suspect I can tweak that in xbmc. I have my xbmc machine going through a denon AVR to a samsung TV (doesn't really matter what model, but these are what I control), I also have dish network. The dish remote is a universal learning uhf/ir - but the uhf is really just for dish network. The IR is for everything else. The remote works well for dish, and is set to turn on/off and do volume on my tV. that's the standard dish network thing. - Keep in mind, if you want to control power and volume on the AVR (not the tv) you can only use the AUX profile. I learned the hard way (lots of button pushing). These dish remotes are learning remotes, but they're not fancy save-it-to-your-pc things. You program them by mashing a bunch of buttons. I used my samsung TV remote's 'stb' and 'dvd' settings to provide codes for the dish remote, think of these as 'virtual' -- these remote codes don't actually control any of my equipment, I just use the codes for flirc and xbmc. - The dish 21.0 can learn in 'hybrid' mode, which means you enter a code to emulate another remote, and then program the buttons on top of that. That seems the easiest and most attractive, emulate a remote to get a bunch of buttons, and learn the specific ones you want. I tried that and it was troublesome. I went for straight "learning", so I programmed every button. 1) Program the 'aux' button (so I can control avr volume and power) - refer to the manual, but from memory it's something like: hold down aux until all buttons light, release it. Hold down "record" until just aux is lit, then go..
at this point, you can turn the avr off, and turn it on by selecting a color button on the dish remote, and select input. also do volume.... don't stop thought because you must program it all in one go..
5) I ran out of buttons that light up! So, switched the tv remote to another mode "DVD"
I also programmed number keys 0-9 from this 'dvd' mode. Then, exit out of learning mode. Test out things. I bet you missed AN FING BUTTON! Do it all again..
Now you know why people spend a lot of money on expensive remotes. however, eventually you'll get it good enough. I didn't manage to program all keys. I missed "record" and "dvr" -but I have plenty I think..
6) Test it on your tv for whatever real buttons exist. 7) program your flirc with all those virtual buttons. Then go play with xbmc! I also selected "remote sends keyboard" in xbmc settings.. I don't know if that's required, but seemed wise. + Capable of 160 recorded buttons, programmed in an entire QWERTY keyboard along with arrows and some others. + Is programmed in the hardware, so it is moveable between devices without having to be reprogrammed. + Usable on multiple Operating Systems, even android. As long as they support basic keyboard inputs, this device can work. - Still a few bugs (April 1st 2013), but the biggest one that was limiting programmed keys to 30 instead of the full 160 has been fixed. - No way to keep track of what remote button is programmed to what key, (yet). - I only have 1. It's an astounding little product that is slowly making its way into every home and business that wants to control a PC-type device with an existing remote. Incredibly easy to use, and eliminates the potential for remote clutter. Have had my flirc for a couple of months now and here's my thoughts so far. Harmony One with Samsung LN46C650L1F tv device profile. + Detected as hid usb keyboard. + Programmable on a pc and transferable to another pc. + Config stored on the flirc. + Good support from Jason. - Device is quite buggy. Mine always corrupts config if I edit button settings, meaning I have to completely reprogram all buttons. - Have never successfully restored a backup config that works. - No way of knowing the programmed state of the device. - Logitech Harmony remote profile not easily identifiable. - Definitely not for newbs yet. I have mine setup as I want but I'm reluctant to customise it further due to the amount of work needed to reprogram all buttons. - Can be difficult to determine what the latest up-to-date information is. Some more advanced information isn't really well organized or consolidated. I was hesitant to get one because I had tried the standard "MCE IR Receiver" that's usually recommended, with very poor results. My computer case has a built-in IR receiver that gives me ongoing problems. But this was so painless and easy to get working, I was just blown away. I wish I had known about this sooner, it would have saved me a LOT of headaches and time spent messing with LIRC configs, keymaps, etc. It even works great with my IR repeater, so I can stuff my HTPC in a closet, out-of-site. I have not yet been able to get the XBMC plugin to work for programming the Flirc (it's still in beta), but I simply used my windows laptop to program some additional keys, and then plugged it back into my linux machine and it works great because everything is stored on the device itself. Cheap way to install IR on many home media devices. Can map functions to almost any button on many remotes. I was able to switch the Flirc receiver from my Ouya to Macbook Pro's XBMC, and I was still able to use basic functions without re-programming. Flirc used on a Macbook Pro and a PS3 next to each other so plugging/unplugging can be done while inserting a disc and doesn't really add effort. Use your AV-Receiver remote with any device. I really liked mine plus couldn't find an easy way to setup other universal remotes in a way that reproduced the ease of use for controlling my AVR. Awesome device. Great idea very well executed! Future proof! USB keyboards are here to stay I guess. Functionality depends a bit on the remote you want to use (repeating, holding keys). I tried a couple of remote codes for mine and found one that works as I like. Love that Jason plans to add support to bind holding a remote key to another key than short pressing it. The remote from my Samsung E7000 TV. + With Linux it is very easy to bind key combinations to commands. So red [A] on my remote now triggers ~/scripts/suspend.sh which suspends my HTPC, blue [D] triggers ~/scripts/toggle-audio.sh which switches audio from HDMI to analog out. - Both TV and Flirc receives the command since the remote has TV- / VCR-modifier buttons. I.e. I have to use "dead keys" on the remote. E.g. the red [A] does nothing when my TV is put into HDMI-source mode. I use the Direct TV remote. My wife and I love it. I was up and running in 5 minutes! Beats breaking out the BT keyboard to operate Kodi. Works like a charm. Wished I had gotten this years ago. Was bought simply to suspend/wake a PC from a Harmony remote. Apart from the 5 minutes mentioned in the above thread, I've never been able to make it wake either with the Harmony or any other remote. I've wasted countless frustrating hours on this over the years & am forced to conclude that it was faulty from day one. A purchase that I regret & certainly couldn't recommend. + Worked "right out of the box"
Being used on a Xiaomi MiBox (Android TV) streaming device because it's native IR appears to be incompatible with the MX-500. Configured one of the MX-500 device pages for a NEC TV IR set, trained the Flirc to it, plugged the Flirc into the MiBox, and bang: Can now control the MiBox, along with all the other HT gear, from the one universal remote.